Football Psychology: Willy Caballero – Instinct! Martin Perry 29th February 2016 31st March 2016 Comments Off on Football Psychology: Willy Caballero – Instinct! Football Psychology: Aston Villa – The Indifference Virus! Martin Perry 16th February 2016 17th February 2016 Comments Off on Football Psychology: Aston Villa – The Indifference Virus! Football Psychology: Derby County – The Power Vacuum! Martin Perry 9th February 2016 11th April 2016 Comments Off on Football Psychology: Derby County – The Power Vacuum! Football Psychology: Lee Johnson – The Perfect Fit! Martin Perry 8th February 2016 9th February 2016 Comments Off on Football Psychology: Lee Johnson – The Perfect Fit! Football Psychology: Teddy Sheringham – Sacked! Martin Perry 2nd February 2016 2nd February 2016 Comments Off on Football Psychology: Teddy Sheringham – Sacked! 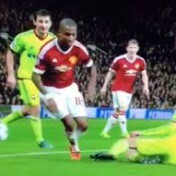 Martin Perry 5th November 2015 26th January 2016 Comments Off on Football Psychology: Ashley Young – Penalty! Football Psychology: Jose Mourinho – Beyond Us v Them! Martin Perry 1st November 2015 26th January 2016 Comments Off on Football Psychology: Jose Mourinho – Beyond Us v Them! Martin Perry 29th October 2015 26th January 2016 Comments Off on Football Psychology: Louis Van Gaal – Roulette! Martin Perry 28th September 2015 26th January 2016 Comments Off on Football Psychology: Blackpool – A Club Without Will! Football Psychology: Sunderland – Who Runs The Team? Martin Perry 16th March 2015 26th January 2016 Comments Off on Football Psychology: Sunderland – Who Runs The Team?